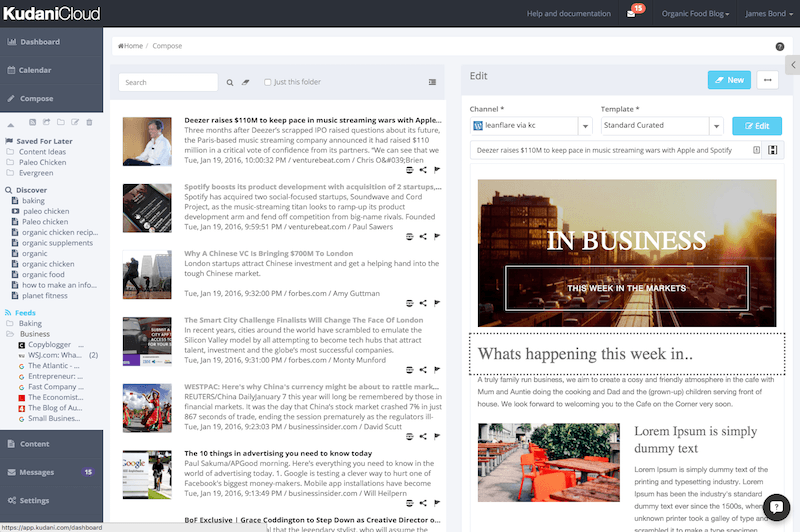 I have been delighted to be a part of the team that has helped to test KudaniCloud and as an editor of several news and magazine sources, I can see the benefits of this amazing program in terms of time, professional curation and brand. Not to mention the benefits of being able to manage a large editorial team. KudaniCloud is the next thing in Content Marketing and is a must have for your Content Marketing needs. KudaniCloud is the Evernote of Content Marketing. What I love most is that I can live in there to do all my content marketing. I no longer have to go to tons of other sites daily. Great software by great people.